ON THIS DATE (June 28, 1984) ... The moment the ball left his bat in the 11th inning, Dwight Evans began his trot. His line drive off Edwin Nunez was headed toward the left-field screen and the Red Sox had completed yet another miracle finish at Fenway Park. He ran slowly and deliberately, fully enjoying the Red Sox' 9-6 victory over the Seattle Mariners, eagerly anticipating the welcoming committee at home plate, savoring the cheers of a crowd of 16,715. Evans, indeed, had a single, double and a triple to add to his 13th home run of the year. It was his first career cycle, and the first by a Sox player since Fred Lynn did it in May 1980. Well, certainly the Seattle Mariners must have been surprised about the finish of last night's 4-hour, 1-minute marathon, the longest Red Sox game of this season. Twice the visitors seemed to have the game wrapped up - at 4-2 and 6-4 - only to see Boston come back twice to tie it. 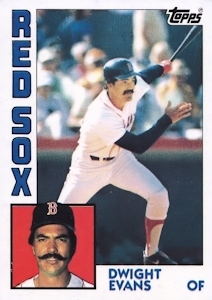 Mariner pitchers stranded 16 Red Sox runners in the first 10 innings, but in the clutch Seattle simply could not contain the likes of Wade Boggs, Evans, Jim Rice, Tony Armas, Mike Easler and Buckner. After 7 1/2 innings, the Red Sox seemed destined to go down to a 4-2 defeat. Rookie Al Davis, rapidly becoming known as a Red Sox tormentor, had hit a three-run homer off Sox starter Bruce Hurst to wipe out a 2-1 Boston lead. The Sox loaded the bases in the eighth and eventually made it a 4-3 game on a two-out infield single by Boggs. Stanton was on the mound in the ninth when Rice opened the inning with a double and scored with one out on a single by Easler. Seattle regained the lead at 6-4 off Bob Stanley with a bases- loaded walk and a squeeze sacrifice bunt by catcher Bob Kearney. The lead would be short-lived. Quicker than you could say line drive, the Sox tied it. The line drive was off Boggs' bat and smashed off the glove of left fielder Al Chambers for a two-base error. It was followed by a ground single to left by Evans that put runners on first and third. Tim Stoddard walked Easler to load the bases, it forced Crandall to go to the bullpen for a lefthander, Paul Mirabella. But then Buckner whacked his clutch two-run double to left to tie the game. Easler tried his best to win it, sprinting home from first on the double, only to be tagged out by Kearney, who got the worst of a head-on collision. Seattle then helped with two errors in the 11th that led up to Evans' game winner. With Rice and Armas on deck, it only took one pitch to end the game. With the home run, Evans became only the 15th Red Sox player to go for the cycle.